Dr. Alex Turnbull is a founder and Director at TLIP, where he focuses on patent prosecution, strategic patent counseling, and IP due diligence in a wide range of technical fields, including computer software, optoelectronics, materials, bio-engineering, inkjet and 3D printing. Alex studied a BSc (hons) in Astrophysics at the University of Hertfordshire which included the award of an Erasmus scholarship to study a year of Applied Physics at Dublin City University. Following his degree he was awarded a Ph.D in Astrophysics, where he investigated the evolution of elliptical shell galaxies using observational astronomy and N-body computer modelling. During his Ph.D, Alex spent many nights using optical instruments at the Isaac Newton Group of Telescopes at Roque de los Muchachos Observatory on La Palma in the Canary Islands. He was one of the first wave of astrophysicists using Sun Ultra parallel workstations to carry out complex N-body computer modelling as the team sought to recreate the observed galaxy morphology by colliding galaxies together in code. As a patent attorney, Alex enjoys drafting original patent applications with passionate inventors and IP managers pushing for commercial context. Alex has a particular interest in freedom to operate issues and has considerable experience in managing complex new product searches as well as providing both ad-hoc and full infringement and validity opinions together with advice on workarounds and strategies to minimise risk. 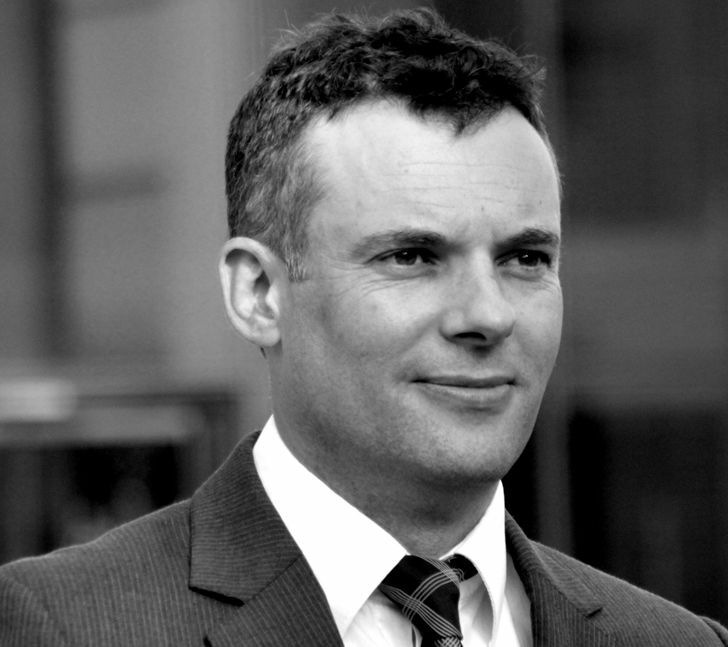 Alex is familiar with briefing UK counsel and regularly appoints counsel to advise on contentious issues. As part of a client’s major acquisition of a patent portfolio most recently in 2014 and of a company in 2013, Alex undertook due diligence analysis into company intellectual property assets and completed multi-jurisdictional assignment of patent rights. The total value of deals for which Alex has been involved in due-diligence activities is currently in excess of $200 million. Imaging of the Shell Galaxies NGC 474 and NGC 7600, and Implications for their Formation. Mon. Not, R. Astron. Soc. 307, 967-976 (1999). Turnbull, Bridges and Carter. Shell Formation in NGC 474. Galaxy Interactions at Low and High Redshift: Proceedings of the 186th Symposium of the International Astronomical Union held at Kyoto, Japan, 26-30 August 1997. Telecoms, technology and IP: sustaining competitive advantage. Intellectual Property Magazine. Turnbull and Broughton 2011. A picture is worth a thousand words – but is it patentable? Intellectual Property Magazine, March, 2012. Turnbull. Patentability and Australasia. Intellectual Property Magazine. 1 May 2012. Co-authored with Fisher Adams Kelly. TLIP Seminar and Workshop in Silicon Valley, USA. Turnbull presentation at Santa Clara University. TLIP news, 26 September 2014. No more Disunity in Europe. TLIP news, 3 October 2014. TLIP invited to speak in New York and Boston on Europe’s Unitary Patent System. TLIP news, 12 January 2015. IP for Business: Events, Guidance, Tools and Case Studies. TLIP news 3 January 2018. Electronics, routers, display drivers, image processing, MEMs, plastic electronics, IP protocols, semiconductors, wireless technologies, organic and inorganic display and photovoltaic devices; piezoelectric actuators; protein mass spectroscopy; microarrays; medical devices; and magnetic drive systems, construction systems, flywheels, business methods, computer software implemented inventions, fishing tackle, actuators, payment systems. Patent prosecution, opposition and appeals, litigation, due diligence, freedom to operate, contracts and licensing, agreements, trademark prosecution, registered designs, IP strategy.